Happiest of New Years to you as well! 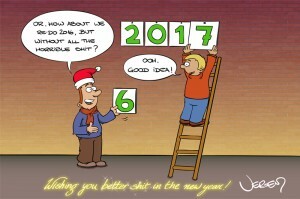 All the best and happiest in the New Year! Another year has passed, so I wish You all the best in 2018. Once again thanks for the Happysad and the Little Dude (I hope he’s fine ).